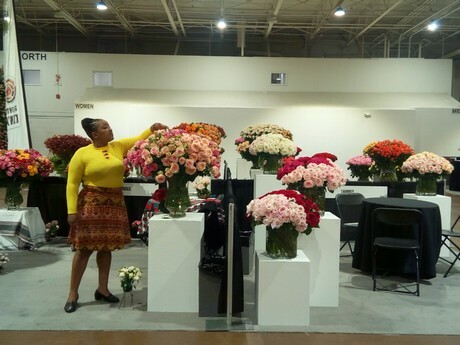 Eight Kenyan exporters of cut flowers made 78 linkages worth an estimated $259,000 at the World Floral Expo in Dallas, TX, USA. The firms were part of a delegation led by the Kenya Flower Council, a USAID Hub grantee. Their trip to the U.S. allowed them to connect with U.S. buyers to further efforts to expand Kenya’s share of the U.S. cut flower market. “Today we met with potential wholesalers and from my observation a lot needs to be done in enlightening them on logistics. Their preferred terms of payment is CIF [cost, insurance and freight] and not FOB [free on board]. 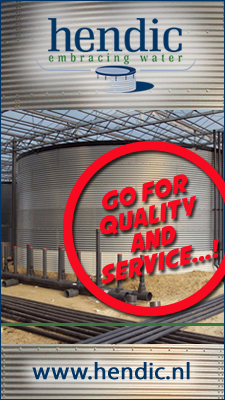 We are grateful for this great opportunity,” said Irene Nkatha, Sales Manager of Red Lands Roses. Kenya is the leading global exporter of cut roses to the European Union with a market share of 38 percent. Yet, the country only has a 1 percent market share in the U.S. where it competes against major suppliers such as Colombia and Ecuador which have lower logistics costs and shipping times. With high-quality flowers, a strong trade association and large U.S. market, however, there is an opportunity for Kenya to expand duty-free exports of flowers to the U.S. under the African Growth and Opportunity Act (AGOA). The exporters’ participation in World Floral Expo advanced recommendations in the Kenya National AGOA Strategy and Action Plan, 2018-2023, designed to increase exports in the cut flowers sector. During their trip to the U.S., Kenya Flower Council and the firms were able to gather market intelligence, establish relationships with U.S. stakeholders and raise awareness of the Kenyan flower brand – all actions that will enhance Kenya’s ability to penetrate the U.S. market. Higher flower exports will also contribute to Kenya’s goal of raising exports to the U.S. by 20 percent annually to reach $744 million by 2022, while also bringing more diverse options to meet U.S. consumers’ demand. “This is a very potential market for Kenya considering the number of visitors who are serious and willing to do business with us. We look forward to having more of such opportunities since this serves as a platform to market the Kenya flower brand,” said Boaz Chemweno, Sales Manager of Mzurri Flowers. The Hub’s grant with Kenya Flower Council aims to increase Kenya’s share of the U.S. market for cut flowers by December 2019. The Hub and Kenya Flower Council work together to raise cut flower exports by boosting the visibility of Kenyan flowers in the U.S. market through targeted product promotion activities and by building the capacity of exporters to meet U.S. packaging and market entry requirements.